“You are The best tent makers in India !” Is what our buyers tell us about the excellent quality and craftsman ship of our originally designed authentic handmade Indian tents. 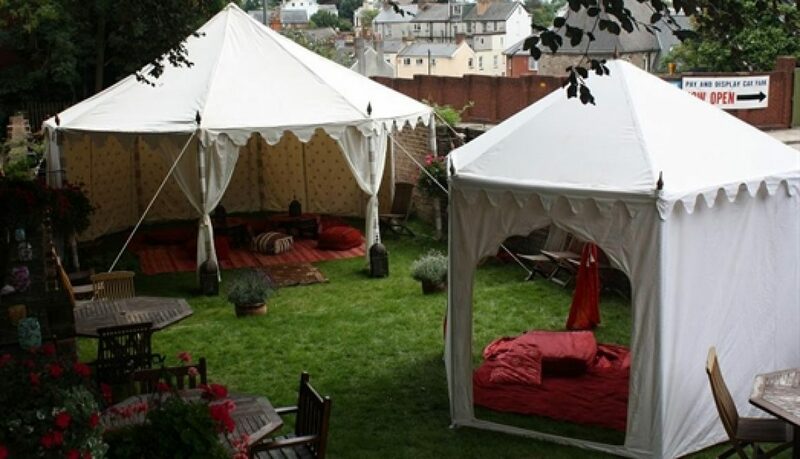 We use very superior quality cotton canvas and hand twisted cotton ropes and thread, to do hand quilting on all our tents & marquees. 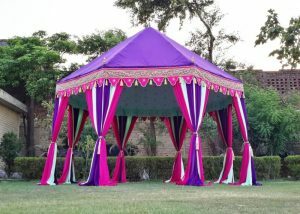 This traditional art of tent making has come down to us from our Father and Grand Father. We print all the inner linings in beautiful Jaipur prints, Jodhpur patterns and Taj Mahal motifs. 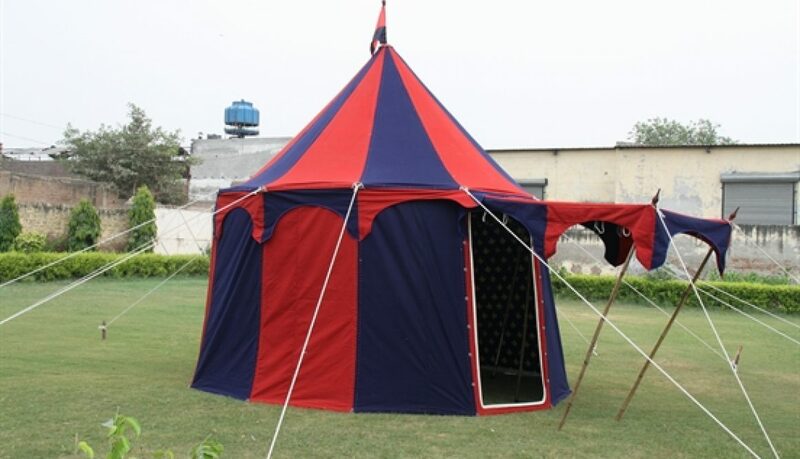 All our Frame Tents are very easy to put up and have maximum inner area for utilization. 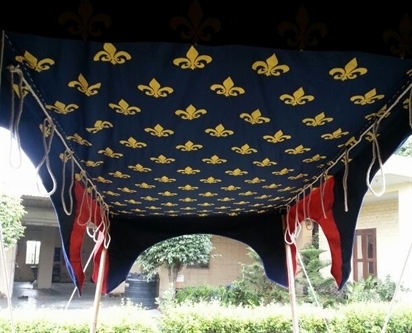 The frames are very stable and sturdy structures and can be used multiple times to create the same magic, year after year ! 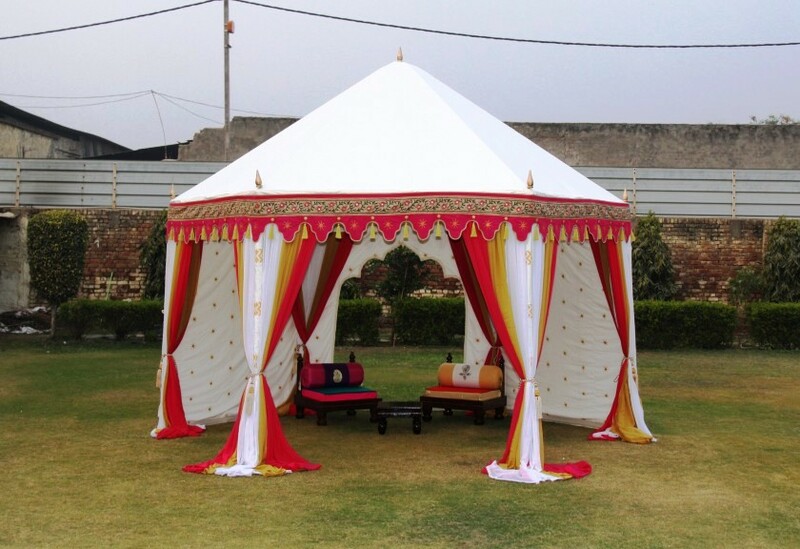 You can put sheer curtains during summers, to let breeze and sunlight come in, or you can use canvas walls to complete close the tent at night or in winters, we give you both the options. 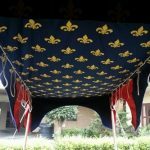 You can also buy extra outer valance, inner ceilings and curtains, to drastically alter the look of the same tent and use for different events. 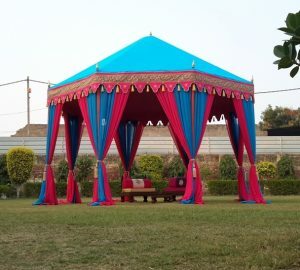 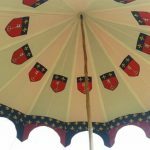 We are leading manufacturers and exporters of Premium quality Indian Tents, Garden Gazebos, Medieval Pavilions, Wedding Marquees, Resort Tents, Cabanas & Kids Tents. 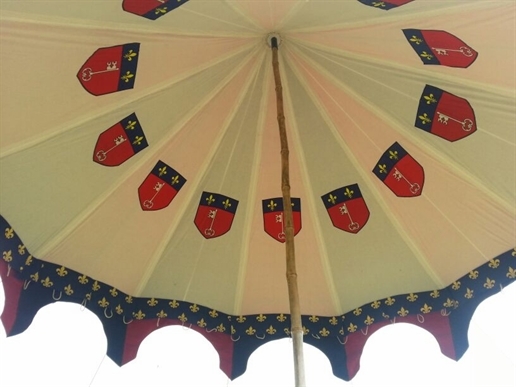 We are exporting our exclusive tents from the last almost 40 years to USA, UK, Europe, Australia, New Zealand and Middle East countries.